Indago is paired with Project Lifesaver's electronic location equipment used by first responders to find special needs individuals who may wander. Upon receiving a distress call, operators can rapidly deploy Indago to locate missing individuals. Sheriff's offices in New Jersey and Virginia have added the PLI Indago to their inventories, with additional first response agencies soon to join the ranks. "The Indago UAS will allow us to increase our capabilities in locating a client who has wandered. This new asset will give us the ability to search even more efficiently over a broader area and will increase the probability of a successful recovery," Somerset County New Jersey Sheriff Frank J. Provenzano, who oversees the first sheriff's office in the country to adopt the Indago system. Somerset County has 40 clients enrolled in Project Lifesaver: 23 children who have autism or Down syndrome and 17 adults who have dementia. "The Indago will give Project Lifesaver agency members the ability to have an airborne asset available quickly to enhance their search capability in bringing loved ones home," said Gene Saunders, Founder and CEO of Project Lifesaver. First responders have relied on manned aircraft to conduct aerial search and rescue operations. Indago reduces the response time and increases the efficiency of search efforts when time is critical. The 5 lb., collapsible Indago system can be stored in the trunk of any squad car and deployed within a matter of minutes. "Coupling the Project Lifesaver antenna and control elements with the Indago system expands signal detectability, serves as an airborne relay, and greatly improves the probability of location success across broad search areas," said Rich Bonnett, Indago program manager, Lockheed Martin unmanned systems. "This innovative technology is available for Project Lifesaver agents to further their important public safety mission, and more importantly, to reunite individuals with their families and caretakers." Indago is used in tasks spanning firefighting, disaster relief, precision agriculture and coastal erosion monitoring. The proven and reliable system has an industry-leading flight time surpassing 45 minutes, and provides high quality data with an electro-optic infrared gimbaled imager to enhance situational awareness and enable real-time decision-making. Lockheed Martin has five decades of experience in unmanned and autonomous systems for air, land and sea. From the depths of the ocean to the rarified air of the stratosphere, Lockheed Martin's unmanned systems help our military, civil and commercial customers accomplish their most difficult challenges. Project Lifesaver International (PLI) is a 501 (C) (3) community based, public safety, non-profit organization that provides law enforcement, fire/rescue, other first responders and caregivers with equipment and training to quickly locate and rescue individuals with cognitive disorders who are prone to the life threatening behavior of wandering, including those with Alzheimer's disease, Autism, and Down syndrome. 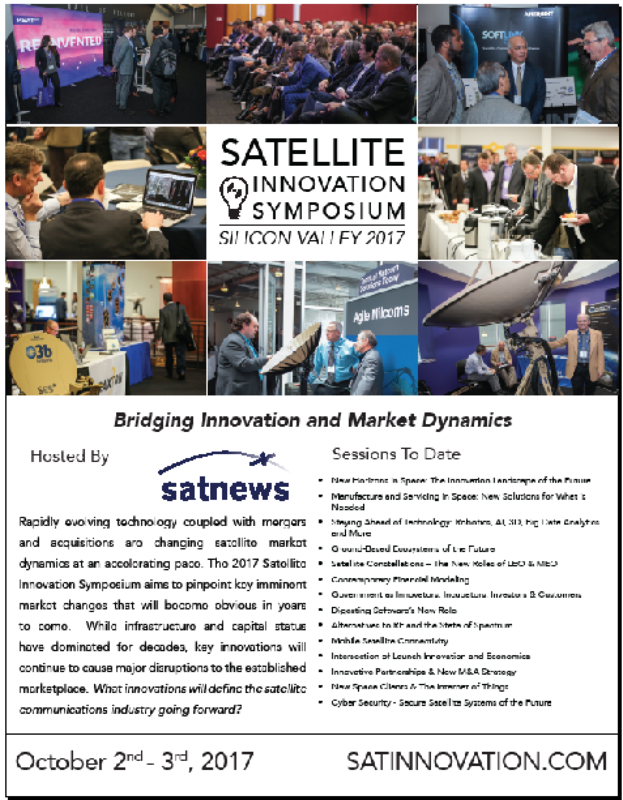 The United States Special Operations Command (USSOCOM), Directorate of Procurement has a requirement to purchase the next generation of Satellite Deployable Node - Family of Systems (SDN-FoS) Sub One-Meter Variant (SDN-Lite). The attached Draft Request for Proposal (RFP) documents (Performance Specification, Statement of Work, CDRLs) for the SDN-Lite is to provide Industry with the most current information as well as gather feedback and address any questions and comments. The Government is still in the process of drafting Sections L & M and getting the final acquisition plan approved; however, the team anticipates issuing a Final RFP using full and open competition with no exclusions/set-asides which may result in a single award of a commercial, Indefinite Delivery Indefinite Quantity (IDIQ) contract issuing Firm Fixed Price (FFP) delivery orders with an ordering period of five years, a guaranteed contract minimum of $2,500.00 and contract maximum of $75,000,000.00. The Government anticipates ordering approximately a total of 809 SDN-Lites during the life of this contract. A Final RFP, which will be posted on Federal Business Opportunities website under solicitation number H92222-17-R-0004, is anticipated to be released in Q4 FY17. Companies interested in providing this capability and desiring to provide value added feedback on the Draft RFP documents must email their questions and comments in writing to Mr. Jonathan Katz, Contracting Officer, jonathan.katz@socom.mil and Mr. Phillip Sabo, Contracting Officer, phillip.sabo@socom.mil no later than May 24, 2017, 1200 hours, eastern time. Please provide suggested edits and comments utilizing the track changes and review features via Microsoft Word directly in the Draft RFP documents where possible. Oral requests (e.g., phone call) for information will be re-directed to provide email correspondence for documentation purposes. Individual responses to inquiries will not be provided. Do not include any proprietary information when responding back to the Government unless properly marked. 1. Can you provide a terminal which immediately satisfies all the Threshold (Th) requirements in the Government's Performance Specification and SOW? 2. If yes, does this proposed terminal also currently meet any Objective (Obj) requirements outlined in the performance specification? If yes, please identify all Objectives. 3. If your proposed terminal does not currently meet all Threshold requirements, state specifically which Thresholds are not met, when you anticipate being able to meet them, and what is your implementation plan? 4. Do you currently possess the capability to deliver a fully certified terminal which meets all Threshold requirements outlined in the Government's Performance Specification and SOW within the required initial delivery schedule (at the production capacity outlined) requirements defined in SOW para. 6.11? 5. Describe your approach to address the test and certification requirements in paragraph 5 of the SOW. What is your current certification status is for Wideband Global SATCOM (WGS) and commercial bands as defined in SOW Section 5.4? If certified, provide ARSTRAT certification numbers and commercial service provider certification letters. If not currently certified, where are you at in the process (Specific Phase) for certification and will you have certifications in order to meet the schedule timeframe in SOW 6.11 (90 days ARO in Nov 2017). Message traffic from ARSTRAT should be provided to verify WGS certification test phase status. Similarly, message traffic from commercial service providers should be provided to verify in-process status of those certifications. Have your proposed terminal offerings already undergone the required MIL-STD-810G testing defined in SOW paragraph 5.2.1? If, so when was testing conducted and by which laboratory? A summary report from the independent laboratory test report should be submitted. If terminals have not undergone the required MIL-STD-810G testing discuss how that will be satisfied within the required initial delivery schedule (at the production capacity outlined) requirements defined in SOW paragraph 6.11. 1. A complete scrub and/or peer and policy review of the Draft RFP documents has not yet been accomplished but will be accomplished prior to the Final RFP release. 2. All Attachments to the RFP have not been finalized. The Tactical SIGINT Collection System (TSCS) family of systems (FoS) is a modular, semi-automated, multi-platform transportable and man packable system capable of conducting signals intercept, collection, exploitation, direction finding, and precision geo-location against threat communications. The TSCS FoS is comprised of the Team Portable Collection System Multi-Platform Capable (TPCS-MPC) and the Radio Reconnaissance Equipment Program (RREP). TPCS-MPC is employed by SIGINT Support Teams (SST) and provides Marine Corps Radio Battalions with a semi-automated, team transportable SIGINT collection capability supporting the MAGTF and Marine Corps Forces Special Operations Command (MARSOC). 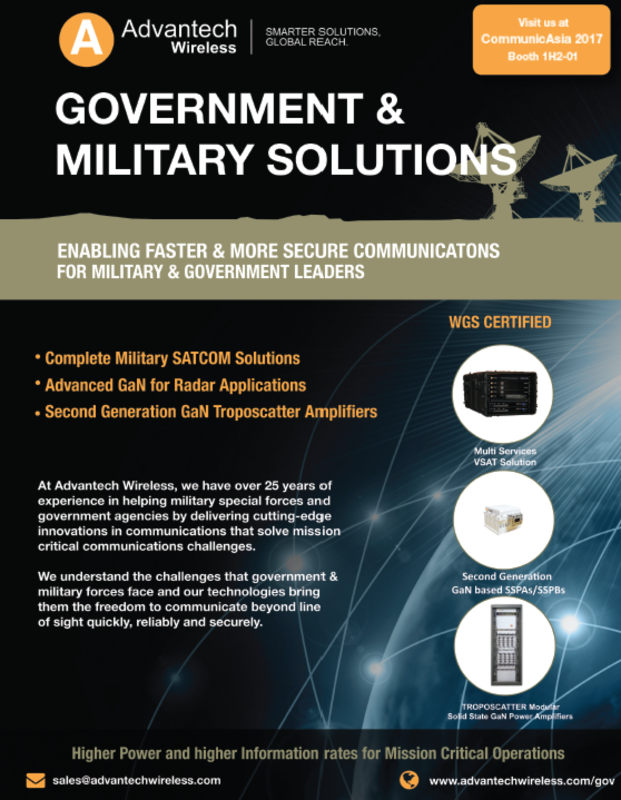 RREP provides a man-packable, modular, and scalable SIGINT capability to support the MAGTF and MARSOC. TPCS Mods is currently executing engineering change proposals and is in the Operations and Support phase. PB16 will allow for the sustainment of the program and execution of a Special Purpose Receiver Refresh and Modular Case Refresh. TPCS is currently executing an FY14 Technical Refresh that is designated as an AAP and is in the Production and Deployment phase. Current funding does not allow for the execution of Dual Receiver, Server Sleeve, and Legacy SOIs. PB16 will allow for the procurement and delivery of a common TSCS Workstation. RREP Mods is currently executing engineering change proposals and is in the Production and Deployment phase. PB16 will allow for the sustainment of the program and execution of a Special Purpose Receiver and TSCS Workstation Refresh. RREP is currently executing an FY14 Technical Refresh that is designated as an AAP and is in the Production and Deployment phase. The Army's only airborne infantry brigade combat team in the Pacific theater is supporting an Initial Operational Test here before heading off to a combat training center rotation. 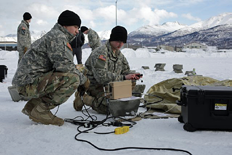 Soldiers from the 4th Infantry Brigade Combat Team (Airborne) 25th Infantry Division at Joint Base Elmendorf-Richardson, Alaska set up two "Heavy" systems on the left, and two "Lite" systems on the right, of the Transportable Tactical Command Communications (T2C2) system during new equipment training. Photo Credit: Staff Sgt. Pedro Garcia Bibian, 55th Signal Company, Combat Camera. When the 4th Brigade Combat Team (Airborne), 25th Infantry Division saw the opportunity to test and field the new Transportable Tactical Command Communications (T2C2), unit leadership jumped at the chance. "Right after the unit volunteered to test this new gear, they also received word they'd be heading to the Joint Readiness Training Center (JRTC) in Fort Polk, Louisiana during June," said Keith West, Test Officer with the U.S. Army Operational Test Command's (USAOTC) Mission Command Test Directorate. In a nutshell, T2C2 uses proven commercially-available components that will allow Soldiers and their commanders increased situational awareness to ensure the best outcomes as they apply more effective combat power. With its timeline suddenly compressed, the Infantry Soldiers were faced with upgrades of their command systems, and firing exercises like gunnery qualifications -- all while wrapping an operational test of the T2C2 into the mix. About 40 Soldiers were hand-picked to train on and test the T2C2 March 15 to 26, allowing the rest of the brigade to focus on ongoing operations. 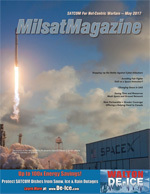 "Given the limited signal experience of the system operators, it is unbelievable that non-signal Soldiers with only two weeks of training are able to acquire the satellite, put them into operation quickly, and make mission," said Chief Warrant Officer 3 Woody Scott, the 4th Brigade's network operations officer-in-charge. "That says something incredible about how these systems are designed in their simplicity." "The systems and Soldiers have proven to be equally resilient," added Capt. Daniel L. Standridge, the 4th Brigade's chemical, biological, radiological, and nuclear defense officer. Scott said T2C2 could become an advantage for all Airborne brigades. "During Arctic operations, the Air Force trying to land their aircraft has to be de-conflicted with Army Aviation assets," he said. "We can't get other assets on the ground until someone has been able to clear the drop zone and communicate back." As USAOTC's test non-commissioned officer-in-charge for his first initial operational test, Sgt. 1st Class Shelby R. Schoolcraft said, "Participating in this operational test opened my eyes to how important it is to test equipment before putting it in the hands of Soldiers," noting the innovative ways the Soldiers discovered to use the systems. "T2C2 brings greater throughput and a higher quality network that comes on-line quickly and can operate at much lower temperatures," said Scott. 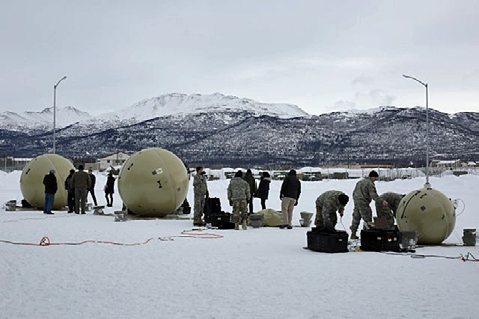 "Early entry packages like the T2C2 Lite, and now with a drop-capable T2C2 Heavy, make an Arctic mission safer for our brigade." USAOTC's mission is about making sure that systems developed are effective in a Soldier's hands and suitable for the environments in which Soldiers train and fight. Test units and their Soldiers offer their feedback, which influences the future by offering input to improve upon existing and future systems that Soldiers will ultimately use to train and fight with.